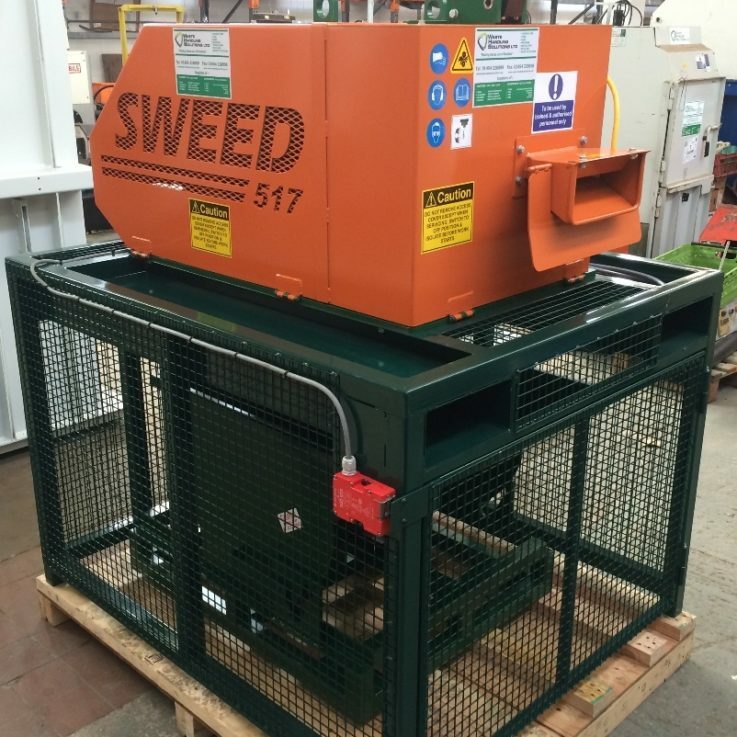 What is a Sweed Chopper CE517XHD used for? The CE517XHD Banding Chopper is ideal for most waste banding applications; it is a compact and powerful machine suitable for handling large quantities of Baling Wire, Steel, Copper, Tube, Pipe and Aluminium Cable. The chopper takes the material in automatically at a rate of 0.5m/sec producing a 75mm long pieces to enable efficient and cost effective recycling by reducing volumes by up to 20:1! The CE517XHD is safe and easy to use, requires an 3-phase power supply and has an ‘on’ and ‘off’ foot switch. This Banding Chopper can also be fitted with an optional Tipper Hopper. CE517XHD Banding Choppers are available to purchase or hire.